It all becomes real and exciting the minute one becomes engaged and for some, much more long before that…as little girls daydreaming and playing dress up as beautiful brides. Envisioning and imagining that dress, the most important dress one will purchase and wear walking down an aisle to become married. r o c o c o Brides came to be after many years of planning and dreaming. I am a wife to a wonderfully loving and supportive husband, a mother of two beautiful angels, a former teacher and a big dreamer. 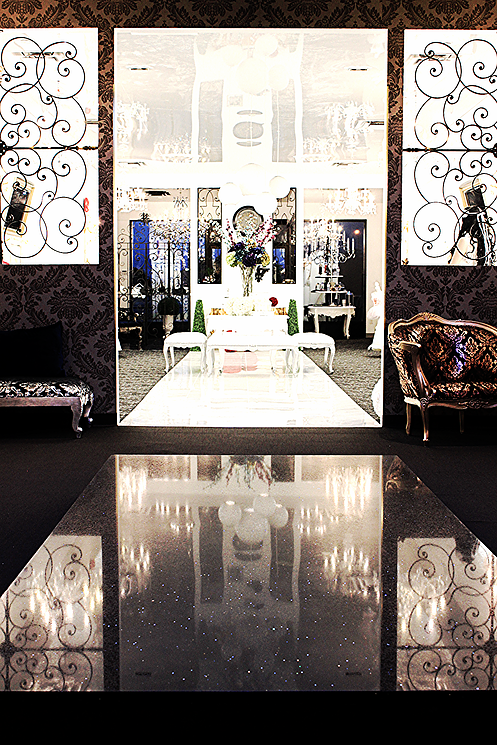 I have always had a great interest in the Wedding Industry and a passion for Bridal fashion and Bridal design. 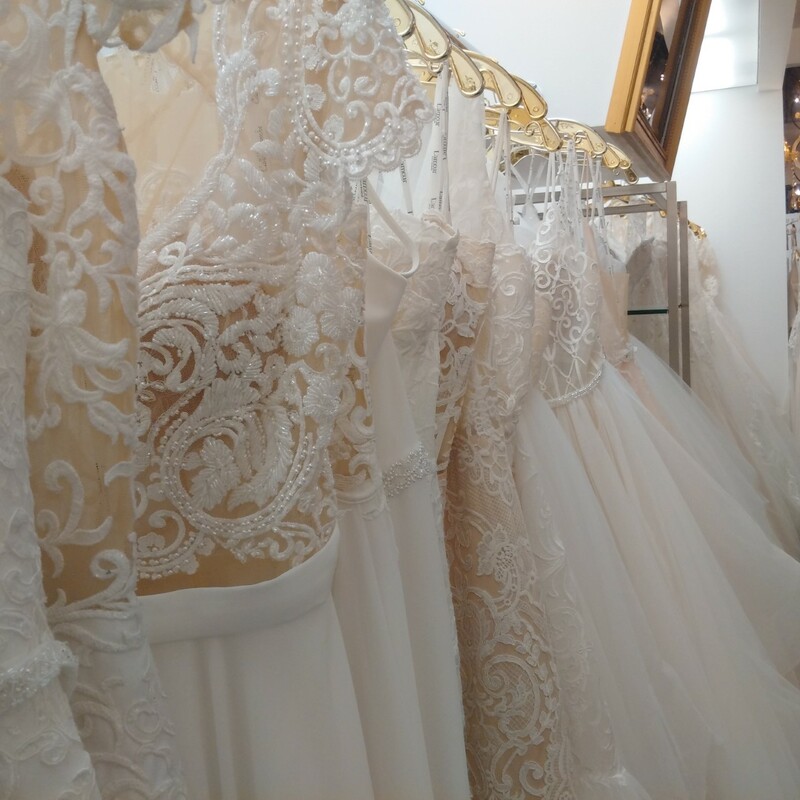 Bridal shopping is a unique experience…it should be like no other day and feel like no other place you have ever been to. It should spark feelings, emotions of excitement, love and relief. A sense of wonder and a little magic to bring us back to childhood adventures. 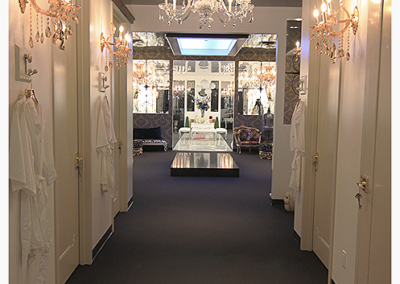 For many, Bridal shopping and Bridal stores can be an intimidating venture, but not at r o c o c o .
r o c o c o was created to capture all senses…to create an ambiance of luxury, joy and most importantly help create positive life lasting memories and friendships. Memories in which 10 years from now, one could look back and reflect on what a beautiful day her Wedding Gown shopping experience really was. With r o c o c o, we hope to achieve a place of comfort, a place where every bride is welcome, feels pampered in every way and hopefully sets the stage for the beginnings of family traditions. 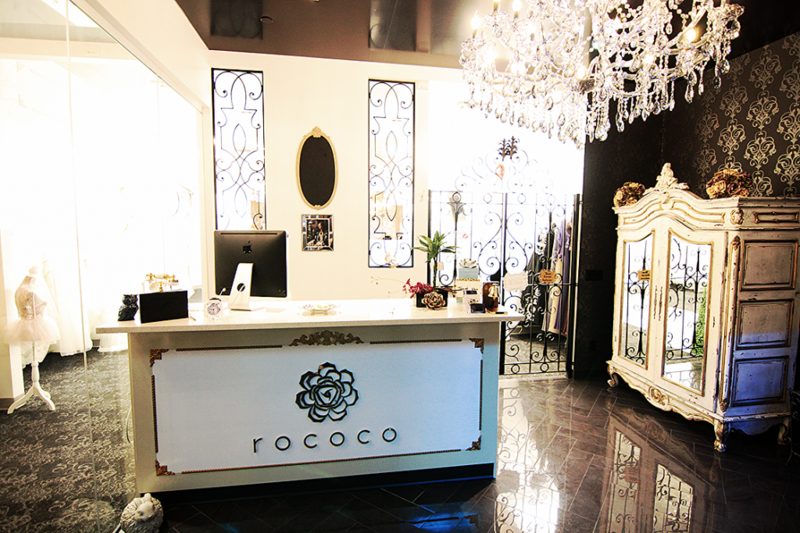 At r o c o c o you will experience a mid 17th- 18th century feel with a touch modern- whimsy. The r o c o c o era capulates opulence and femininity, it was the age of enlightenment with a passion for love and seduction. A time period in history in which a movement and change in art, furniture and architecture took place…a moment in time that I am fond of and can appreciate in so many ways. 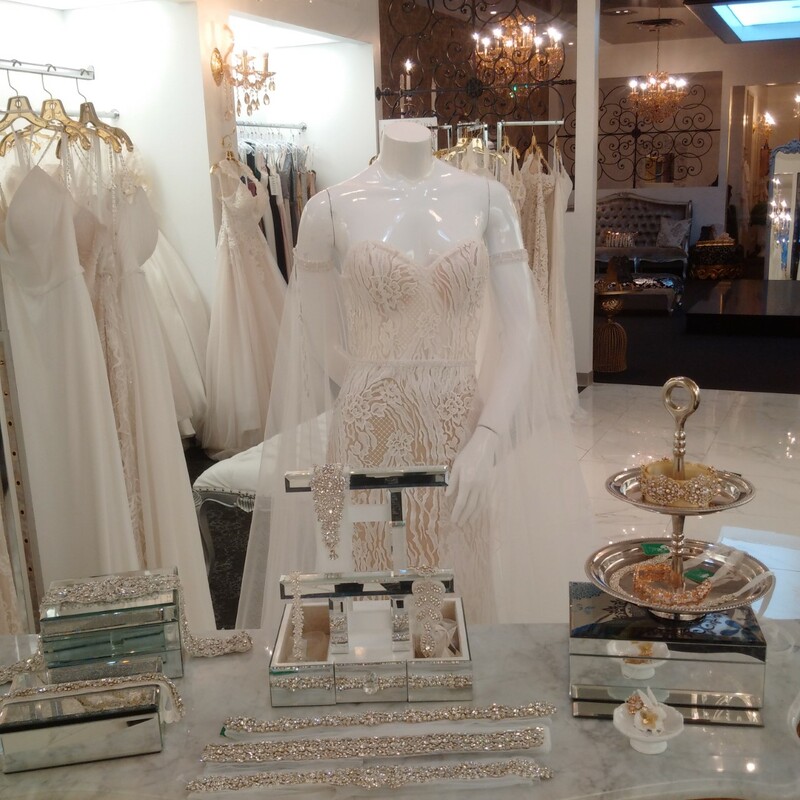 r o c o c o Brides was created for YOU…the bride! 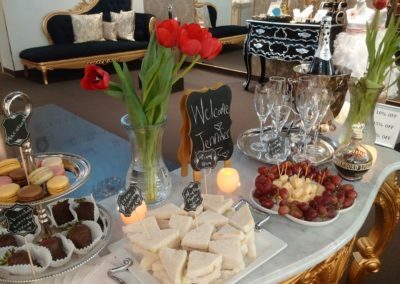 Every little detail was thought through carefully to give you something memorable and unique, in the hopes of making you happy. We hope you visit us and thank you in advance for considering r o c o c o as your salon! 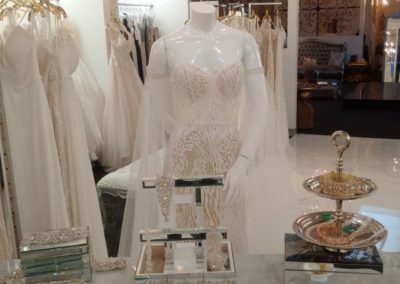 r o c o c o Brides is a bridal boutique unlike any other. 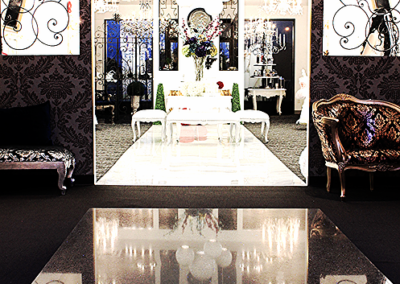 We are extremely proud to be a favoured salon. We offer an exquisite and unpredictable ambiance for all our guests. 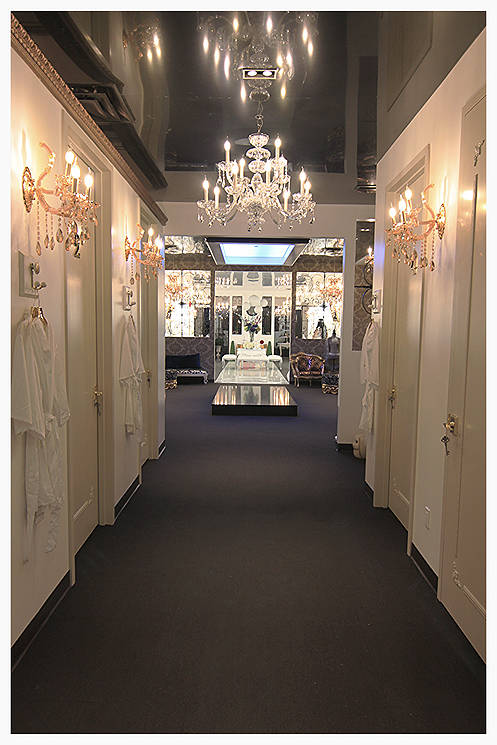 r o c o c o Brides is Calgary’s Premier Salon, offering all Brides the attention and detail that they deserve. 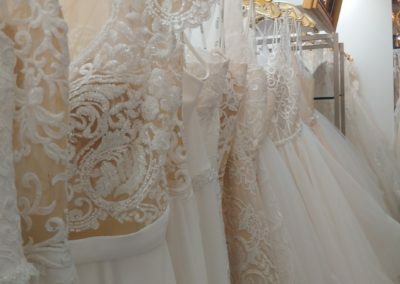 As professional bridal consultants we understand your individuality …with listening ears, a keen sense of style & a vision for perfection, we will guide you to your perfect gown.